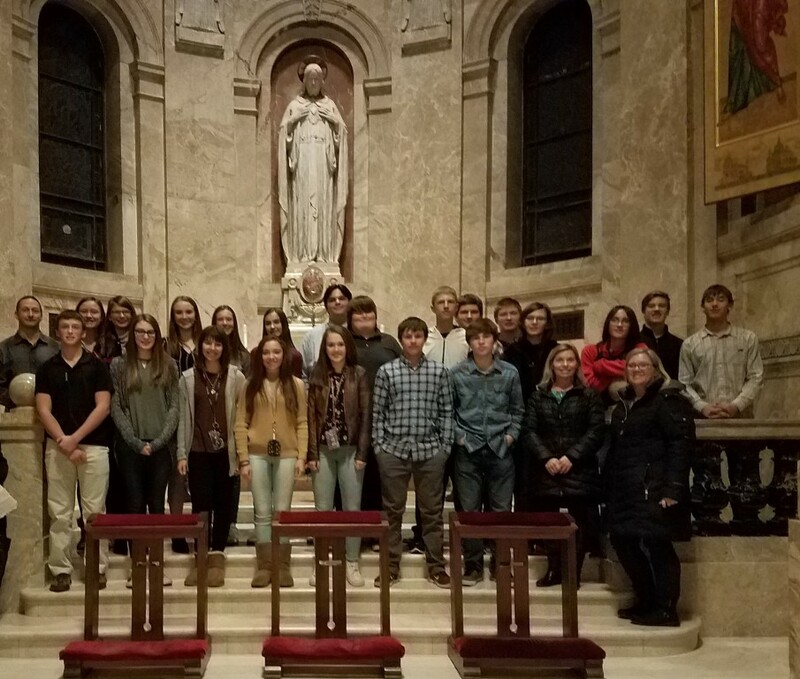 Our 9th and 10th Grade Confirmation Youth made a pilgrimage to the Cathedral of St. Paul on Wednesday, November 14. We left the lower level parking lot at 1:30pm. Arrived at the cathedral for a 2:30pm tour. Our tour guide did an excellent job on defining our faith and imagery in the cathedral! They had time for Confessions and Mass also. Father Martin Siebenaler joined us on our journey to help with Reconciliation and he con-celebrated Mass. 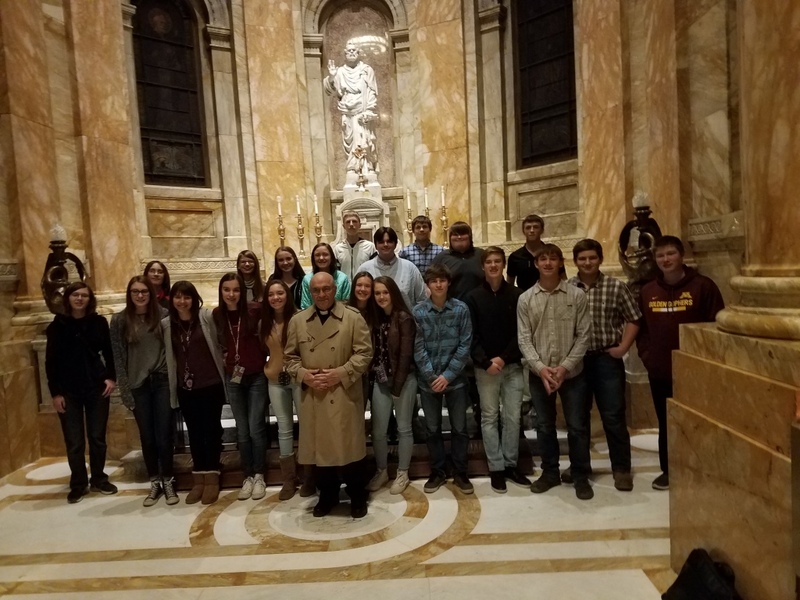 After Mass we traveled a few blocks to Cossetta's for a wonderful meal and fellowship before heading back to Cannon Falls by 8pm on the school bus. Thanks to all of our Catechists that took off work to be with us and Fr. Martin!